I've surfed the web and questions for answer. Yes, i did restart my pc after installing everything, even restarted a couple of time. 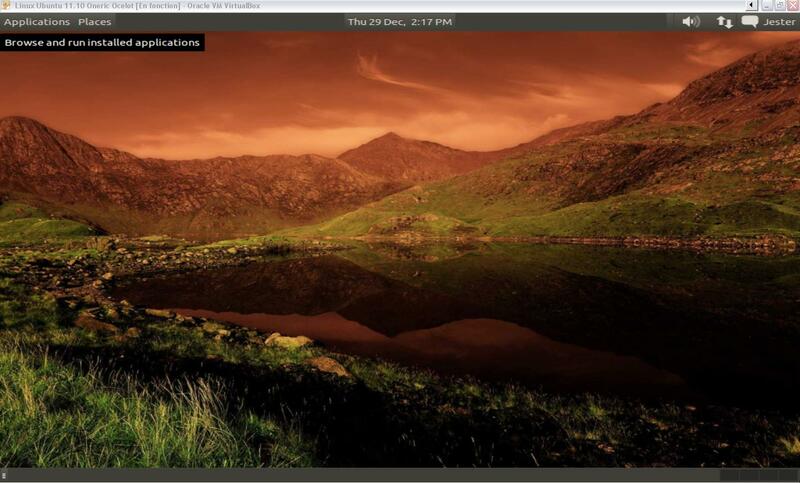 Yes, i clicked the cog and chose GNOME instead of Ubuntu. EDIT: I have scrapped the whole virtual machine, and reinstalled it. The error message you are reporting with gnome-tweak-tool occurs when either logging into Gnome-Classic or if logging into Gnome-Shell - but it doesnt allow a full Gnome-Shell GUI but reverts to Gnome-fallback. 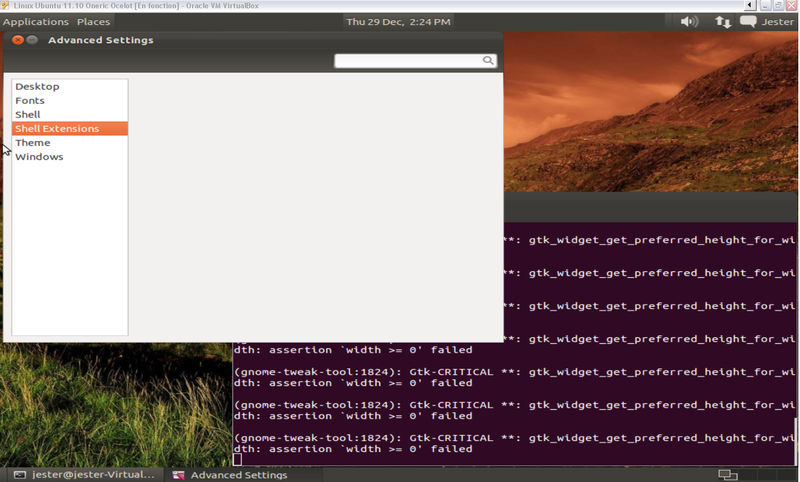 From your latest edit - this is the case - the screenshot shows that you are using gnome-fallback. This occurs when 3D acceleration fails. To get the full Gnome-Shell GUI, check that your virtualbox settings have 3D acceleration checked, 128MB VGA RAM and that your host graphics supports 3D Hardware acceleration. Not the answer you're looking for? Browse other questions tagged 11.10 gnome gnome-tweak-tool or ask your own question. Gnome session doesn't look right… and shell extensions is empty?